Wait for Me (The Montgomery Brothers, Book #1) by Samantha Chase is a refreshing and sweet beginning into the world of The Montgomery Family. Lucas Montgomery was a promising NFL star until an injury sidelined him and erased his dreams of professional sports in a split second. Now a life of solitude is what he prefers, at least that’s what everyone thinks. Emma Taylor has worked for the Montgomery’s for a while and has secretly admired Lucas from afar. Mr. Montgomery senior, her boss, has noticed her desire for his son Lucas and feels that perhaps a little matchmaking might lure this recluse out of hiding. However, Lucas prefers to have very little contact in the office and that is where the fun begins. Unfortunately this meddling matchmaker isn’t aware there’s a blizzard on the way. When a simple request to deliver a package leads to one unexpected detour, will Emma forgive either of the Montgomery men for what happens next? Can Lucas admit his true feelings towards Emma or will he continue to push people away? If only he could stop hiding the truth and stop living with physical and emotional pain maybe he’d have no regrets. Signals get crossed just when Emma thinks she’s finally figured Luke out. When it all comes to a boil, Luke has a lot of explaining to do. Will Emma listen to him or keep him on the bench permanently? I received this book from the publisher for a fair and honest review. This first book is available as a stand alone or you can buy the first two books as a bundle. Either way- it’s a must read! In this second installment of the Montgomery Brothers it’s all about Jason Montgomery, the regimented and workaholic brother who thinks that every woman looking to work for him wants to sleep with him too. Convinced that there isn’t a woman out there who will fill the requirements, he allows his dad to find a solution. What happens when he gives his dad one simple request for his upcoming travel itinerary is where the adventure begins. Can Mr. Montgomery curb his matchmaking itch? Maggie Barrett has a secret and working with the Montgomery family has kept her hidden and she’s been just fine with that. What will happen when Jason discovers the real reason Maggie has kept hidden at work? Determined to not let the past guide her she vows to stick to the plan. Unfortunately Jason missed that memo. Will Maggie be able to trust again? Will Jason realize what he needs before it’s too late? 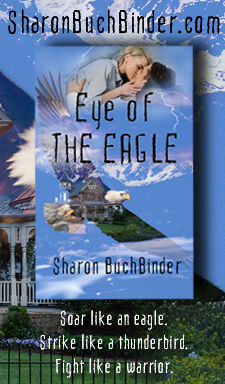 Another must read book in a series that has it all – romance, secrets, twists and turns. This contemporary romance series will delight and inspire. With great writing, loveable characters and continuous carryover of characters from one book to the next its a fabulous choice this summer! If you are wondering if there will be a happily ever after then you MUST download this book now and find out. This series is absolutely fantastic and the development of the characters superb. I fell in love with this family and you will too! Lucky for us dear readers there are six books to indulge in. Hurry over to your favorite e-book/book retailer and download or purchase your copies now! I received the book bundle (Books #1 & 2) from the publisher for a fair and honest review. The second book is available as a stand alone or you can buy the first two books as a bundle. Either way- it’s a must read! Samantha Chase has generously donated an autographed book of Wait For Me/Trust In Me for todays giveaway. Do you think it’s a good idea to play matchmaker and give love a little push? Winner will be contacted via e-mail so please be sure we can reach you. If you see what someone else do sent then sure go ahead and play matchmaker. yes!!!! sometimes you need to give ‘love’ a little push! Playing matchmaker never seems to work out well. Best not to. As long as one or both parties aren’t totally against it, a, little matchmaking might be just what they need. Great responses – keep them coming! 🙂 Thanks for stopping by Cheryl, Mary, Kristin, Daveyse79 and Bev! I think it can be okay to play matchmaker, and give love a little push, as long and you don’t push to much. The only time I tried to matchmake, it was not a very good match. Eventually they each found mates without my help. Its not always a bad thing. Nothing wring with it. Someone played matchmaker for me many years ago. It worked out for a while. But after 2 years, it flopped. I think it depends on the people it involves. Some people need a little push!! !